“Tesla continues to struggle as a ‘real car company,’" said one analyst. Tesla sales declined sharply in early 2019 compared to the end of last year, with just 63,000 cars delivered — well below analyst forecasts of 76,000 deliveries. Stock sank by as much as 10 percent in premarket trading as investors responded to the missed target. The carmaker announced late on Wednesday it had produced about 77,100 cars during the quarter, a sharp tumble compared to the 90,700 vehicles it delivered during the fourth quarter of 2018. “Tesla continues to struggle as a ‘real car company,’ with demand collapsing for the tired Model S/X platforms and higher priced versions of the Model 3,” said analyst Jeff Osborn on Thursday. There are a variety of factors that appear to have hammered demand for Teslas, including the ongoing phase-out of federal tax credits for Tesla buyers. Through the end of last year, buyers received $7,500 in incentives. But after Tesla sales topped a 200,000-vehicle threshold, the giveback was halved to $3,750, as of Jan. 1. The credits will be cut by half again in July and eliminated entirely at the end of this year. Tesla has tried to soften the blow. The company cut the price of its vehicles by $2,000 in January. It also launched the long-awaited Model 3 Standard Range Plus, its least expensive product to date, at $37,500. But the company encouraged buyers to take delivery before the end of 2018 in order to receive the maximum federal giveback, and it has acknowledged there was likely some “pull forward,” buyers who decided to buy one of its cars during the fourth quarter. Any slowdown in sales raises concerns about the sustainability of demand for the Model 3 sedan, Tesla’s first mainstream offering. The company is hoping to give itself a boost by adding the new Model Y crossover, but that vehicle won’t reach the public until next year, about the same time as an assortment of all-electric models from competitors like Audi and Volkswagen also go on sale. Tesla Chief Executive Officer Elon Musk signaled his concerns about the slowdown in an email to Tesla employees in February. "As challenges go, this is a good one to have, as we've built the cars and people have bought the cars," he wrote. "So we just need to get the cars to their new owners!" After working through its production problems at the Fremont plant, Tesla delivered consecutive quarterly profits during the last half of 2018. Musk had initially anticipated more black ink for the first quarter of 2019, but since reversed himself. That puts more strain on a budget already straining to fund the development of the Model Y, as well as an all-electric pickup, a battery semi-truck and a next-generation Roadster. Tesla is also pumping out cash for a new assembly plant in Shanghai. At the beginning of the year, Tesla had $3.7 billion in cash reserves, but that was before paying off $920 million in bond debt last month. It has another payment of $566 million due in November, and will have to meet $1.4 billion in obligations in 2021. 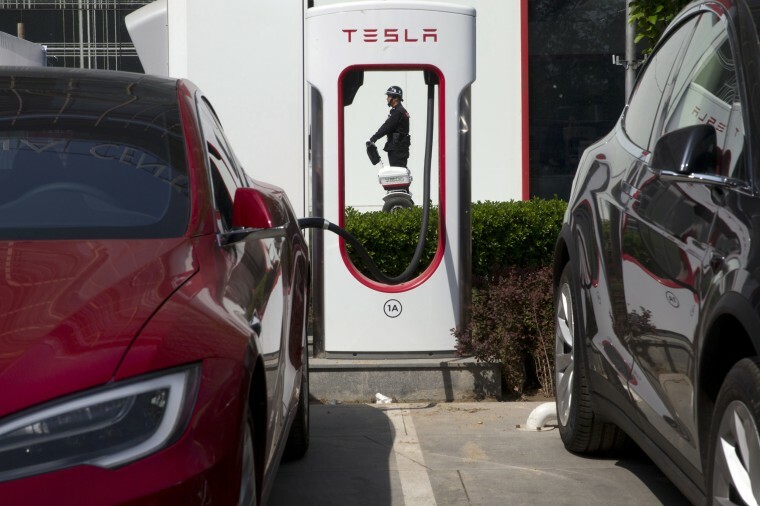 "From our standpoint we wouldn't characterize Tesla as having a robust liquidity position by any means, but it's less tenuous than it was six to nine months ago," Bruce Clark, credit analyst at financial services company Moody's, told clients. In the long term, Tesla is counting on stronger demand abroad, especially in China, to boost its sales and swell its bottom line.